More traditional in appearance, these windows, also called single hung, slide vertically and are reminiscent of old sash windows. 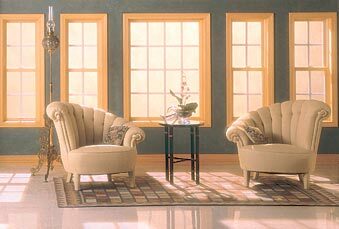 Single hung windows can be used alone or combined with picture windows for more impact. cold, heat, insects, salt air, and ultraviolet rays.